of money to have their dirty laundry buried in the search results underneath contrived puff pieces. With nearly the entire mainstream media apparatus at their disposal, the government is a maestro at this practice. As we learned from so-called Operation Mockingbird — a conspiracy theory fact discussed in my first post on the subject, “Conspiracy Theories That Turned Out to Be True,” — hundreds, if not thousands of news organizations have been conscripted into working with the CIA to support pro-government narratives. That was in the 1960s. One can only imagine how vast the network is now. Not to mention the fact that a single proprietary algorithm owned by Google dictates the vast majority of the population’s exposure to a subject. With groups like Wikileaks and Anonymous out there, the last decade has witnessed a dam burst of new data and documents. Thanks to intrepid journalists, whistleblowers, hacktivists, and leakers, the human race continues to tear down the wall of lies erected by the corporatocracy. Without further ado, let’s get to it: here are four recent conspiracy theories we can start calling conspiracy facts. It’s somewhat of a cliche to jokingly refer to a surrounding insect or bird as a clandestine spy deployed by the government to watch you. While we lack certain specifics on the ubiquity of the technology, we know definitively that the government has the technology to surveil citizens using insects and other small animals, and they use this technology in military applications. There is some evidence to suggest that insect drones are used domestically to spy on citizens. In 2007, this theory conspiracy theory took shape when anti-war protesters reported strange buzzing insects. Written off as tin foil material, officials dismissed the suggestion that the government used insect drones to spy. Multiple witnesses reported erratic dragonfly-type objects hovering in the sky. The government has come clean about its use of drones to spy on American citizens, so it’s difficult to believe they wouldn’t have at least tried insect drones. While we can’t say with 100% certainty that there are insect drones spying on American citizens, though it’s exceedingly likely, what is irrefutable is the use of micro air vehicles (MAVs) and “spy animals” as war-time tools. DARPA launched its Stealthy Insect Sensor Project in 1999 as an effort to deputize bees as bomb locators in war zones. This was just the first phase in an ongoing project. In her book The Pentagon’s Brain: An Uncensored History of DARPA, America’s Top Secret Military Research Agency, journalist Annie Jacobsen revealed that the agency’s near-future trajectory is to introduce “biohybrids” — part animal, part machine cyborgs — into the United States’ military arsenal. “DARPA has already succeeded in creating a rat that will be steered by remote control by implanting an electrode in its brain. “And it’s done the same thing with a moth which is really remarkable because the scientists implanted the electrodes in the pupa stage of the moth when it was still a worm! People have long accused the media of being a proxy branch of the State Department, a highly sophisticated and well-produced form of manufactured consensus and controlled opposition all rolled into one. In ostensibly democratic nations, a free and independent press is of paramount importance. But in the U.S., we find a cohesion of the state and corporate news networks that do not constitute ‘state-run media’ in the traditional sense — but it’s close. Our first solid documentation that the media is an echo chamber for the government came with the disclosure of what has come to be called Operation Mockingbird. This nefarious and far-reaching conspiracy was documented in Part 1 and involved the CIA essentially conscripting journalists, American news agencies, and major broadcasters to become domestic propagandists and spies. Eventually, this CIA/media symbiosis included journalists from all the top news organizations. Literally, thousands of people were involved. This infiltration of the American media and press took place during the 1950s, at the start of the Cold War, and was carried out under the auspices of fighting communism. The CIA began to restrict its use of journalists in the Operation Mockingbird program in 1976, but many people believe it has since transmogrified into something far more powerful, nefarious, and ubiquitous today. We’re still in the early stages of proving to the masses that mainstream media is little more than a mouthpiece and propaganda machine for the government and its various agencies, but the evidence is accumulating. During the 2016 presidential election, Wikileaks exposed a number of disturbing revelations showing collusion between the media and political operatives. This included collusion between the media, the Democratic National Committee, and the Hillary Clinton campaign. But it wasn’t just about swaying the election. New revelations showed that the government actively infiltrates powerful media corporations in order to shape their content and narratives. One of the best examples of this was the State Department’s role in affecting a CBS 60 Minutes interview with Julian Assange. A more comprehensive list of examples of the Orwellian symbiotic relationship between the press and the government can be found here. Perhaps the most disturbing recent addition to this chapter was the “Countering Disinformation Act” that President Obama slipped into the National Defense Authorization Act (NDAA) on Christmas Eve of last year. In the context of the still-festering narrative of foreign interference in the 2016 presidential election, the act’s putative goal was to fight “fake news,” which many believe is actually a campaign to silence and dismantle alternative media on the Internet. In order to accomplish this, the government is establishing a Global Engagement Center for managing disinformation and propaganda. Since we already know our government routinely performs psychological operations (psyops, or as they’ve been recently rebranded, Military Information Support Operations [MISO]), it should come as no surprise that manipulating the civilian population is a permanent goal. In fact, in the 2013 National Defense Authorization Act, the government formally legalized the use of psyops on U.S. citizens. So how does this Global Engagement Center factor in? To support local independent media who are best placed to refute foreign disinformation and manipulation in their own communities. To collect and store examples in print, online, and social media, disinformation, misinformation, and propaganda directed at the United States and its allies and partners. To analyze and report on tactics, techniques, and procedures of foreign information warfare with respect to disinformation, misinformation, and propaganda. While it may not immediately strike one as sinister, this codification of repressing journalists and voices the government deems to be disinformation while creating an even more centralized infrastructure to control “fact-based narratives” in the media should be highly alarming to anyone who cares about a free press. It would seem that while the State already has a steel grip on corporate news networks, they are struggling to control the influence of online independent media. This new law may be the start of this century’s Operation Mockingbird — a new full-scale infiltration of the local news and a war against anti-establishment narratives on the Internet. This is already taking the form of algorithmic censorship through Facebook and Google, as well as a weaponization of the “fake news” narrative. “For decades, extreme ideologies on both the left and the right have clashed over the conspiratorial concept of a shadowy secret government often called the New World Order pulling the strings on the world’s heads of state and captains of industry. “The phrase New World Order is largely derided as a sophomoric conspiracy theory entertained by minds that lack the sophistication necessary to understand the nuances of geopolitics. 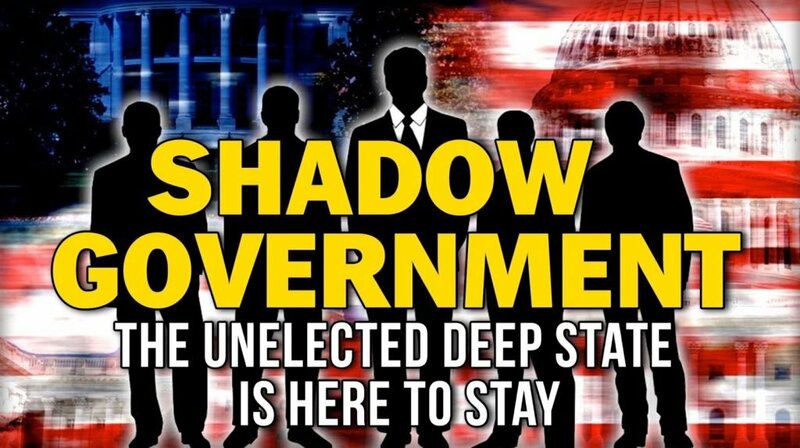 In the wake of the 2016 election, the concept of the Deep State has grown into somewhat of a common phrase in the lexicon of alternative media theorists, crossing political boundaries and resonating across the ideological spectrum. Everyone from alt-left socialists to alt-righters now agrees there is an unelected cabal of elite neo-conservative corporatists and crony lawmakers running the geopolitical show. Because it’s such a complex subject and permeates so many different academic, economic, and state apparatuses, it’s virtually impossible to issue a single, simple definition of the Deep State. “It is a hybrid of national security and law enforcement agencies: the Department of Defense, the Department of State, the Department of Homeland Security, the Central Intelligence Agency and the Justice Department. In his writing, Lofgren emphasized the role of FISA international surveillance courts. This was confirmed in a very interesting way when President Donald Trump accused former President Obama of tapping his phones, a charge Obama aides deflected by saying that if such a warrant had been issued, it would have been done through a FISA court. This shows how presidents are able to skirt the constitution by outsourcing surveillance requests. It also shows the interconnectedness of these agencies. However you want to describe it, it’s the natural conclusion of Operation Mockingbird and most certainly a reality that the elites would have rather kept under the radar. Fortunately for the people of the Earth, revelations from Wikileaks and other whistleblowers have, over the last couple decades, made it abundantly clear that the Deep State (the New World Order) not only exists, but also that it’s far more sinister and powerful than early conspiracy theorists could have ever imagined. Early in 2017, the organization Wikileaks began releasing their first post-2016 election cables with a series of explosive data dumps regarding the CIA’s cyber hacking abilities and exploits. It is called Vault 7. Updated serially in “Year Zero,” “Dark Matter,” “Marble,” “Grasshopper,” “HIVE,” “Weeping Angel,” and “Scribbles,” the documents show the unprecedented collection of cyber vulnerabilities, exploits, and hacking abilities consolidated within the agency that many believe constitute wide-ranging breaches of civil liberties. Chief among these breaches is domestic surveillance and extrajudicial cyberhacking, which the Wikileaks documents confirm are taking place in an abundance of forms. the CIA concealed vulnerabilities that could be exploited by hackers from other countries or governments. This is just the beginning. Early in the release, Julian Assange said the documents released represented only a tiny fraction of the total data that was forthcoming. Wikileaks’ episodic data dumps on the CIA’s cyber hacking programs are nothing less than stunning. The establishment’s reaction to the ongoing releases verifies how big of a deal they are. This isn’t new or unexpected, as the group’s slow but inexorable drips of revelations about government malfeasance continue to confound and disturb private citizens, consumer rights activists, tech companies, and international leaders alike. Thanks very much for pointing these realities out to those of us who are more often than not these days called upon to speak on these issues in a truthful presentation of facts.